For the second Grand Slam tournament in a row, Wawrinka and Dimitrov will face off in the first round, with the latter looking to rebound from his shock loss to the Swiss at Wimbledon. Arguably the biggest first round encounter in the Men’s singles draw at the US Open this year sees Grigor Dimitrov, the eight seed and last year’s ATP Finals champion, take on wildcard and 2016 champion Stan Wawrinka for a place in the second round. Incredibly, this will be the second Grand Slam tournament in a row where the two have faced off in the first round, with Wawrinka picking up perhaps his best win of 2018 with a four-set victory over the Bulgarian at Wimbledon. Both men have had their struggles this year, for varying reasons, though encouraging form from both heading in means this could be a thrilling contest. This match will take place on the opening day of the tournament, with the winner facing a qualifier in the second round. This will be eighth meeting between the two, with Dimitrov leading the head to head 4-3. 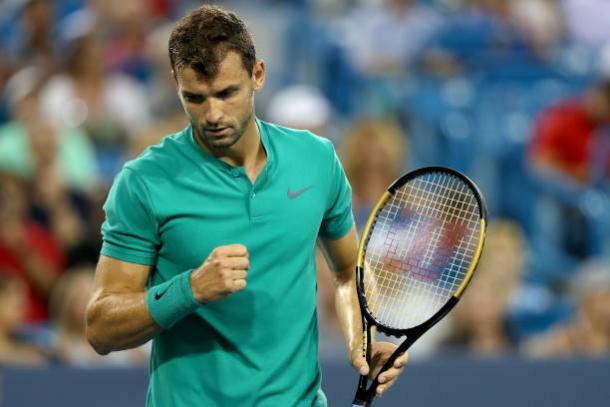 After a career-best season in 2017, Dimitrov has struggled throughout most of 2018, with his loss to Wawrinka at Wimbledon perhaps the lowest point; he has shown only minimal improvement since. In his first tournament of the hard court summer, he reached the last eight at the Rogers Cup, pulling through tight matches against Fernando Verdasco and Frances Tiafoe before being resoundingly beaten by Kevin Anderson. Following that, he failed to defend his title at the Western and Southern Open in Cincinnati, losing to Novak Djokovic in the fourth round despite being a set up. 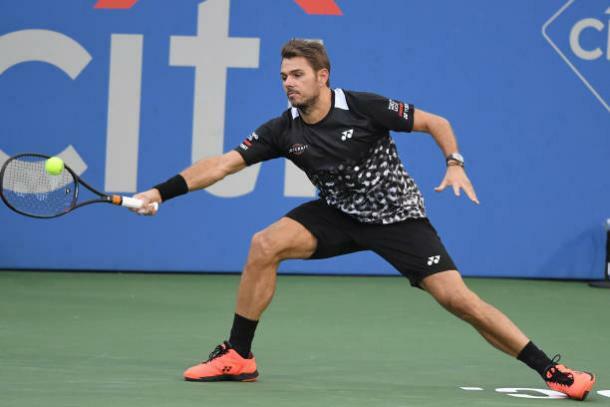 Wawrinka missed his title defence at this tournament last year due to injury and has struggled since his return at the beginning of the season, though he has picked up some form on the hard courts. He fell in the opening round of the Citi Open in Washington to Donald Young, though came through tight matches in the Rogers Cup against Nick Kyrgios and Marton Fucsovics, before falling in a tight straight sets loss to Rafael Nadal. After that, he reached the last eight in Cincinnati, beating the likes of Diego Schwartzman and Kei Nishikori before falling to Roger Federer in a tight clash. Both Wawrinka and Dimitrov are undoubtedly aggressive players who prefer to dictate play, and both are much more comfortable on the front foot, though of the two it is the Swiss who is the most powerful. Wawrinka will likely to use his power, particularly through his effective one-handed backhand, to try and dictate play as much as possible. What makes this interesting, however, is that Dimitrov is arguably most capable of providing an effective defence and is a strong mover, so will look to try and force mistakes out of his opponent and work his way into rallies overtime if Wawrinka begins them aggressively. Despite losing their match at Wimbledon, Dimitrov knows how to trouble Wawrinka, highlighted by the fact that he leads the head to head and actually won the first set 6-1 at the All England Club. The Bulgarian must aim for a high first serve percentage against a player who can be so deadly with his first strike, and will look to use his forehand regularly, as well as using slices to maneuver Wawrinka out of position. Both men are strong on hard courts, so it will be interesting to see who can bring out their best tennis on a surface where both have had success. After struggles throughout most the season, both men will want to have a solid run at the final Grand Slam of the year. However, though he is ranked 101st in the rankings, Wawrinka is perhaps the favorite for this, and his recent form suggests that he should be able to claim victory here.